iBooks Author Templates: One thing Apple has always done well in other applications like Keynote is to mitigate some of the damage that occurs when non-designers indulge in aesthetic experimentation. Though you are free to customize as you like, iBook-Author offers numerous templates that harmonize colors, font combinations, borders and backgrounds to guide the design process. 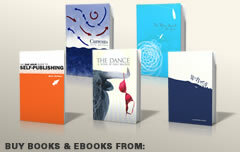 Each template contains a collection of layouts for text, text with images, interactive pages, etc. iBooks Author Widgets is a collection of interactive tools that can be dragged from a palette, dropped into an eBook template and configured with an intuitive user interface. They include photo galleries, audio and video media, quizzes, 3D objects, interactive images, Keynote presentations and even live HTML content. This last option is quite powerful because it enables publishers to embed web-based content that is kept constantly updated. 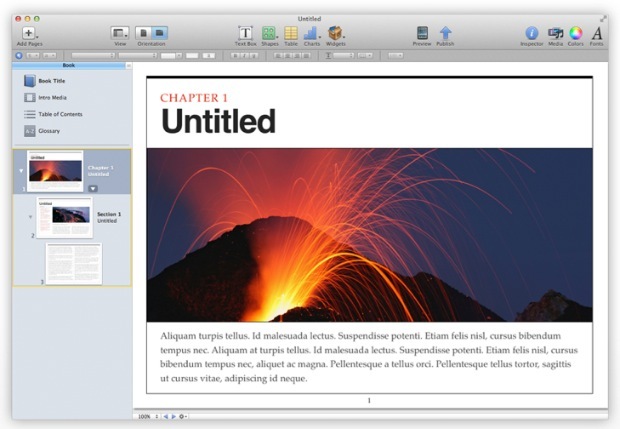 iBooks-Author Textbooks are a primary focus; Apple has already partnered with several major textbook publishers. The ability to highlight text and take notes is one enhancement. Study cards allow students to take this feature a step further. 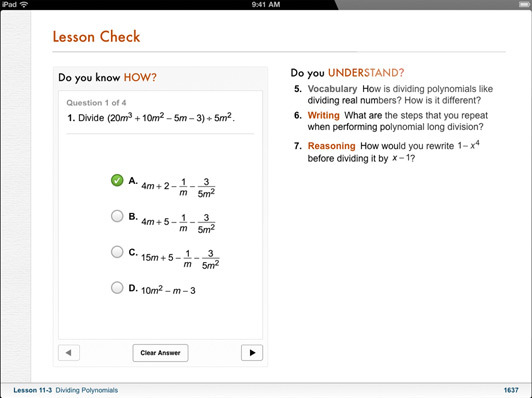 A testing module allows for review and assessment. Embedded media and interactive content have special value in an educational setting. 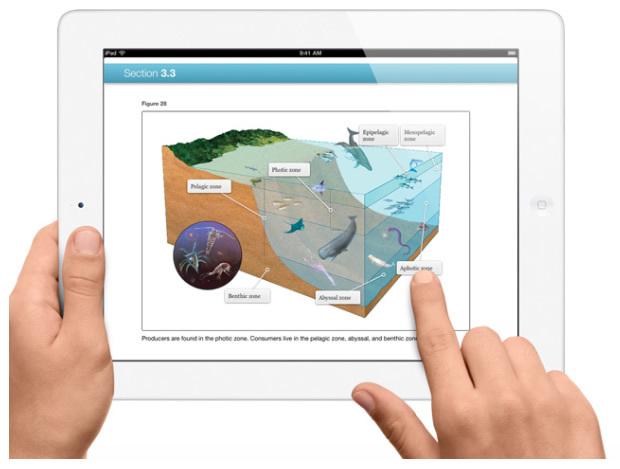 Given that a large majority of students are visual learners and a number of others are kinesthetic (tactile) learners, interactive touch-screen textbooks will likely offer more engaging educational experiences for students who might otherwise be distracted from traditional textbooks. That said, textbook publishers have had tools and technology to create web-based courses for years, but this has not enticed them away from their core business of printing books. The difference is that many classrooms are already equipped with internet access while iBook textbooks require the purchase of a $600 reader device. iBooks-Author publishes directly to the Apple iBookstore, making it easy for authors to make their books available—at least through Apple. Apple has obviously done their homework. 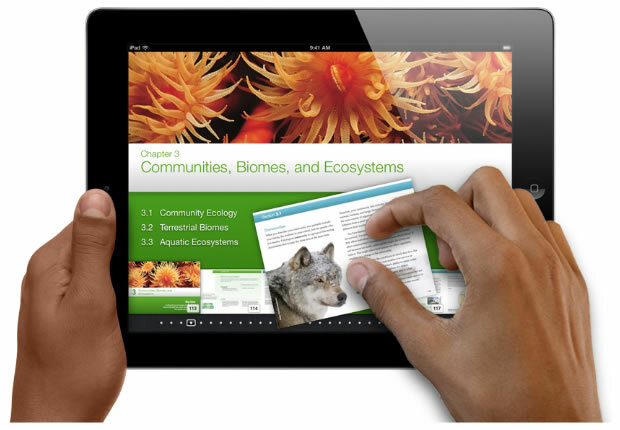 The Apple iPad is the first eReader device to leverage the new ePub3 specification and HTML5/CSS3 technology. They are also first on the field with eBook tools that allow publishers to create rich eBook experiences with visual tools. Of course, competing eReader devices will soon support these same technologies, and this presents some interesting problems. A smaller, technical issue with iBooks-Author is that it will only run on Mac OSX “Lion.” Many design professionals who use Macs (including myself) have not upgraded to the latest version of the Mac OS citing concerns about compatibility with other software tools. Ironically, it may be that consumers are quicker to adopt and use iBooks-Author than professionals. As they did with the iPhone, the iPad and the Macintosh, Apple has set a standard for tools and technology that others will be challenged to follow. 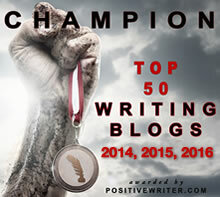 They introduced an innovative product and leveraged new web and eBook standards in groundbreaking ways. And yet, Apple’s “gated community” model is disturbing. Apple has chosen to serve themselves first and their customers second, even to a point of asserting the right to determine what publishers do with works created with Apple tools. This is contradictory to the very rights that empower self-publishing and freedom of speech and expression. As I’m fond of saying, it’s still early in the eBook game. Adobe will introduce a new Creative Suite with publishing-focused tools this Spring. EBook Reader device manufacturers are hard at work integrating the new ePub3 standards. Let Apple have the benefit of the early adopters as a reward for their innovation and vision; they’ll pull the industry forward. It won’t be long before we have device-neutral eBook tools that deliver not only a smooth workflow but support for the principles that drive writers and publishers to do what we love. Apple has made an investment in developing innovative, proprietary technologies that make it easy to develop a package of open source code. I think they are entitled to realize return on that investment, but it is a violation of the rights and principles of the open source community and the IDPF (who created the ePub3 specs) to limit what can be done with that code. If Apple charged a fee for the software but didn’t restrict the distribution of the files created with the tool, they’d have my money today. But as a publisher, I get my worst returns from the Apple store. I want to generate a straight ePub3 file that I can distribute anywhere or upload to KDP and convert to Kindle KF8 format. I can get that open source file by unzipping an .iBook file, but I still can’t distribute that file outside of the Apple store. It’s true that nobody is being forced to use iBook Author. I certainly won’t be using it, but I’m disappointed; the lack of other good ePub3 tools available at any price would have forced me to become an enthusiastic customer. Addendum: According to an article in .net, the .iBook format is more than just a wrapper for ePub3; it actually adds proprietary hooks in the code for features that can only be rendered by the iBookstore eReader software. This explains why eBooks produces with iBooks-Author can only be displayed on an iOS device, though the licensing strategy and the technology strategy are both unfortunate; Apple could have contributed their code and functionality to ePub3 while standards were being developed instead of developing a new, proprietary eBook format that won’t be welcomed by the publishing community. Daniel Glazman, W3C CSS Working Group co-chairman, outlined the problems in a blog post and spoke to .net about his concerns with Apple’s format, and also with the general reporting about iBooks Author. “iBooks Author is not an EPUB3 editor as many journalists said,” he complained. “EPUB3 is a standard, and there is nothing between ‘comformant’ and ‘non-conformant’. The *.ibooks format is based on EPUB3 but it’s not a profile of it – it extends it, and so it’s not EPUB3! I share your enthusiasm for iBooks-Author as a market driver for innovation, but I’ll wait to see what Adobe comes out with in the Spring. I’m not interested in hassling with too many proprietary eBook platforms. I think textbook publishers will likewise jump ship when standards-based publishing tools become available. Absolutely, I understand the con’s of your arguments, Dave. However, I am all a-twitter over this little piece of Apple technology, and have been waiting a long time for this. As far as I’m concerned, the lid has been lifted from Pandora’s Box. Now, as you wrote, others will put out competing technologies, and the sky will be the limit for self-publishing. How exciting is that? Did I mention that I am over the moon?